At Trillium Dental, we make oral cancer screenings part of every dental exam in order to ensure that you are getting the comprehensive dental care you deserve. 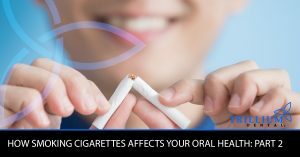 Our oral cancer screenings are a quick, painless process, where your dentist examines your oral cavity in order to detect any cancerous and precancerous signs. We’ll also feel the mouth and throat tissue to see if there are any concerning abnormalities. 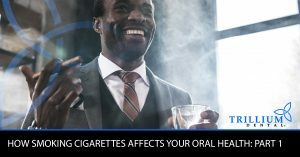 Here, you’ll find more information about our oral cancer screenings, as well as some things you should know about oral cancer and how smoking cigarettes affects your oral health. Learn more in our blog, and book your next dental exam with us today!